With substantial voice and piano training to her credit, Emily spent her teenage and early 20s singing in choirs. (In fact, it was in a choir that she found her husband!) Emily's higher education includes degrees in Choral Music Education and Elementary Education from Wisconsin Lutheran College in Milwaukee. After growing up in the Milwaukee and Appleton areas, she married and followed her husband to California in 2001. During the next two years, she taught choral music at Bayside Middle School in San Mateo, CA. She also spent her free time singing First Soprano with the San Francisco Symphony Chorus from 2001-2003. During that time the Chorus recorded Gustav Mahler's Third Symphony, which won the Grammy for Best Classical Album of the Year in 2003. The birth of her first daughter in 2003 ended Emily’s classroom teaching days. 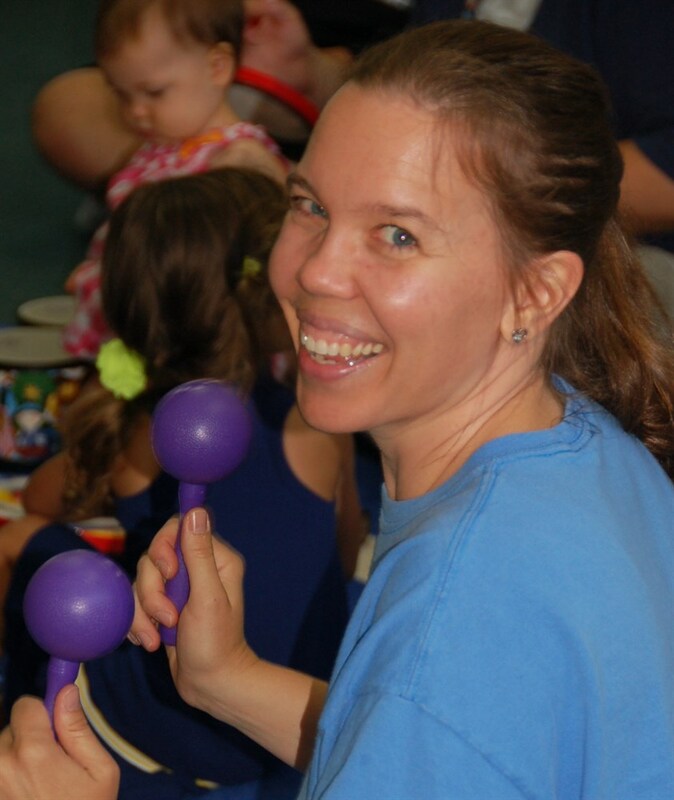 However, she was introduced to the Music Together® program before her daughter was born, and she found it to be the ideal way for her to combine her love of music with her young child's needs. Emily took a Music Together teacher training in spring 2004, and she taught Music Together at Mo Music in Redwood City, CA from 2004 until 2011. She earned Music Together's Level 1 Advanced Certification in spring of 2007. That fall, her second daughter was born. In summer of 2011, she and her family moved 2 hours away to Citrus Heights, CA. The following year, in August 2012, her third child, a boy, was born. A surprise fourth baby, a sweet little girl, joined the family in September 2014, and just like her older siblings, this baby grew up attending Music Together classes and quickly becoming a child who loved making music. Emily and her growing family moved 2 hours away to Citrus Heights in 2011, and after teaching for another center in the area, Emily decided the time had come to open a Music Together center of her own. So, in spring of 2014, she opened her center, called "Sing and Make Music." For two years, Emily brought Music Together classes to families in the Citrus Heights and Fair Oaks area. In the fall of 2016, after 15 years of living in California, Emily and her family relocated to Wisconsin, and in spring of 2017, she opened another Music Together center called "Musical Beginnings." She is excited to continue using Music Together to share her love of music with children and families in Richfield, Menomonee Falls, and surrounding areas.